There is a new high tower crane visible on the Ballsbridge skyline this week as work progresses on Chartered Land’s Lansdowne Place luxury residential development on the site of the former Berkeley Court Hotel. The crane will be joined by two more tower cranes in the New Year. With the piling works close to completion, work has also started on pouring the basement concrete slabs in preparation for the construction of 215 apartments in a pavilion-style development. A selection of phased sales of the apartments that are being built to the highest international standards will commence in Spring 2017. A Marketing Suite is currently being built on site on the corner of Lansdowne Road and Shelbourne Road to showcase the luxury apartments. On completion this 14-metre high structure will extend to an area of approximately 6,500 sq. ft. providing accommodation over three levels. 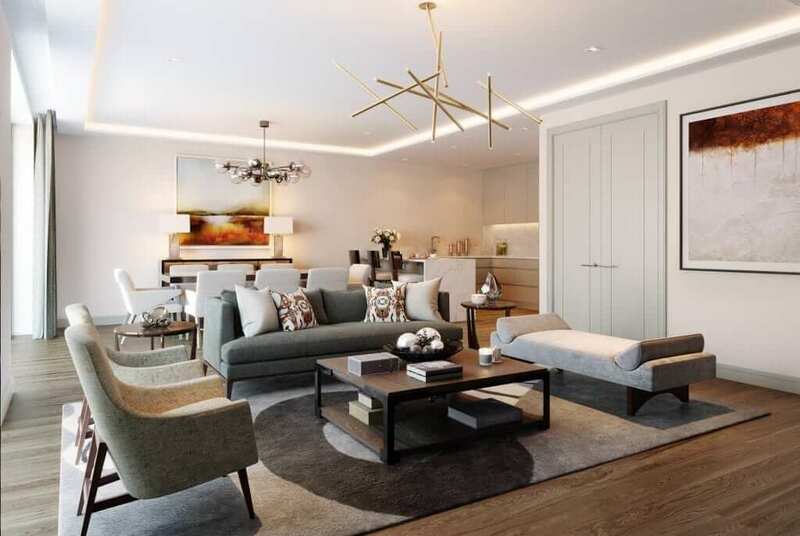 Complete with an entrance lobby and marketing reception area at ground level, a 2-bedroom show apartment will be located at first floor level and a 3-bedroom penthouse apartment at second floor level. The structure also comprises associated terraces, balconies, and a viewing deck at roof level. It will be accessible by a temporary pedestrian entrance on Lansdowne Road. 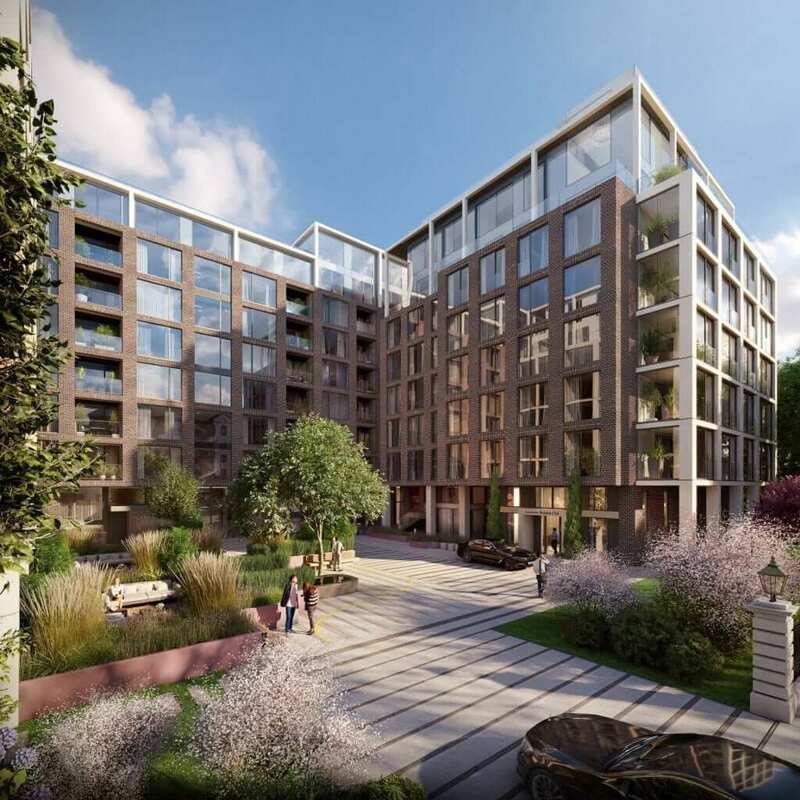 As part of the overall Lansdowne Place development the impressive mature boundary trees and iron railings along Lansdowne Road dating back to the mid-1800s are being retained, ensuring the continuance of the sylvan setting. These continue the historical legacy of the use of the site as the Trinity College Botanical Gardens from 1806 until the 1960s when The Jurys Hotel and Berkeley Court Hotel were developed. The architects for Lansdowne Place are O’Mahony Pike and the main contractor is JJ Rhatigan & Company. 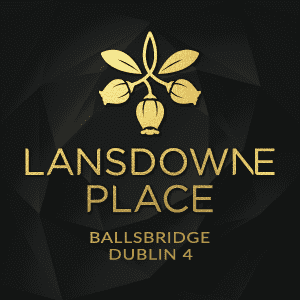 The selling agents for Lansdowne Place, Ballsbridge are Savills and Sherry FitzGerald. Founded in 1999, Chartered Land is one of the largest property development and investment companies in Ireland. Led by Executive Chairman Joe O’Reilly and Chief Executive Andrew Gunne together with an experienced senior team of professionals, Chartered Land has developed close to 2 million sq. ft. with a focus on large scale developments in core sectors. Chartered Land is responsible for delivering a number of the most prestigious and innovative real estate developments in Ireland including the Dundrum Town Centre; the Bord Gais Energy Theatre and Grand Canal Square office scheme in the heart of Dublin’s docklands; Swords Pavilions and a mixed-use retail led development on South King Street, Dublin 2. Chartered Land has a strong track record in successful joint ventures with long-term institutional capital partners. Other projects include the completion and repositioning of Elm Park Green on 17.3 acres in Dublin 4 in partnership with Starwood Capital Group.